Reverse mortgages aren’t what they used to be. Recent program changes have not only made these loans safer for borrowers, but they’ve also made them better financial planning tools. And this has convinced many financial experts to change the way they look at reverse mortgages. One of those experts is Jane Bryant Quinn, one of the nation’s leading commentators on personal finance. Author of the bestselling book Making the Most of Your Money NOW (Simon & Schuster, 2009), Quinn has written on retirement saving and planning for Newsweek, The Washington Post, Bloomberg.com and more. She currently writes a monthly personal finance column in the AARP Bulletin. Until recently, Quinn used to see more risk than reward for reverse mortgage borrowers. But she now she sees that equation is reversed — there is more more reward for borrowers than there is risk, if used properly. Reverse mortgages allow homeowners age 62 and older to convert their home equity into tax-free proceeds that can be used any way they like. Unlike a traditional “forward” mortgage, reverse mortgage borrowers receive those proceeds from their lender. The borrowed amount is based on a variety of factors, including a borrower’s age, the appraised value of their home, current interest rates and the age of the younger spouse, if applicable. The money received from a reverse mortgage is not considered income. Rather, these funds are defined as loan proceeds, as these payments accrue interest over the life of the loan. This loan becomes due and payable when the borrower moves out of the home, dies, or otherwise vacates the property. Nearly all of the reverse mortgages on the market today are Home Equity Conversion Mortgages (HECMs) federally insured by the Federal Housing Administration (FHA). Borrowers may choose to receive proceeds from their reverse mortgage in a single lump sum, monthly payments, a line of credit, or a combination of these options. In the past, many borrowers took HECM payouts in a lump sum, then some of them ended up spending all of their loan proceeds and weren’t able to cover their property taxes and homeowner’s insurance. Failure to remain current on these mandatory obligations results in a reverse mortgage to become due and payable. As a result, some borrowers found themselves facing foreclosure. However, new regulations in recent years have greatly reduced this risk, in turn making reverse mortgages more effective retirement planning tools today. One of the most profound HECM program changes influencing Quinn’s change of heart on reverse mortgages is a limit on the amount of proceeds borrowers can access during the first 12 months after loan closing. This means that in this first year of the reverse mortgage, borrowers cannot access more than 60% of their loan proceeds. The rule was established in response to resolving issues where borrowers took lump sums, ran through the loan proceeds and were left without enough money to cover their property taxes and insurance obligations. Another rule, which first became effective in 2015, also greatly reduces this risk of default, by requiring loan applicants to be subject to a financial assessment, in efforts to prove they have sufficient assets to be able to afford the ongoing costs of the reverse mortgage. An added consumer protection, all reverse mortgage applicants are required to go through mandatory counseling with an FHA-approved housing counseling agency. The goal of this is to make sure borrowers fully understand the terms of the loan and how the reverse mortgage will impact their home equity, their heirs, as well as other possible alternatives to taking a HECM. 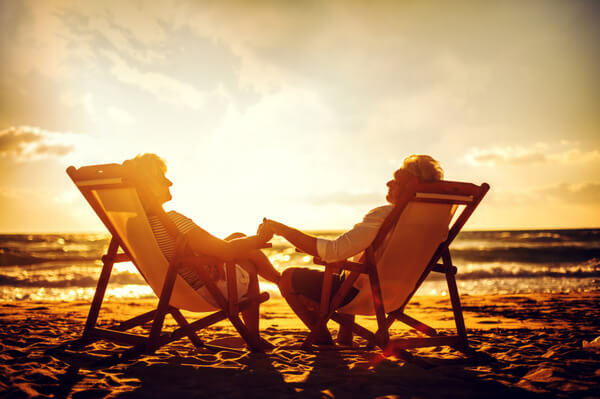 While these new rules have in fact created more consumer protections for reverse mortgages, they are not the only factors causing retirement experts to change their minds about these loans. There are several options to choose from when it comes to receiving loan proceeds, but none have gained more attention in retirement planning than the reverse mortgage line of credit—and for good reason. With a credit line, the amount you can borrow increases each year at the same interest rate you’re paying on the loan. You only pay interest on the funds you access. Simply put, under a reverse mortgage line of credit, the lender has granted you a growing source of funds to use whenever you want. In her book, Quinn suggests the line of credit is one of the best choices for borrowers to access their home equity, because as time passes their nest egg of accessible funds grows over time. However, if you borrow too much too fast, Quinn cautions that you might be entitled to smaller payouts in later years. When savings run low, the amount that has grown untouched in the credit line can provide a greater pool of money from which to draw. By then, the credit line will be much larger than it was on Day 1 of the reverse mortgage.